In April, the Oslo District Court partially relied on EUIPO Guidelines in finding that this trade mark is distinctive (judgment of 11. April 2017, case 16-135037TVI-OTIR/07).The mark had been rejected by the Norwegian Industrial Property Office (NIPO) and the Board of Appeal as being descriptive and non-distinctive for “ammunition, projectiles and cartridges”. Norway is not a member of the EU, but part to the European Economic Agreement (EEA) between the EU and EFTA Member States through its EFTA membership. The Norwegian Supreme Court has on several occasions found that EU case law is relevant when interpreting trade mark law in Norway. Although the Trade Mark Regulation is not part of the EEA, the Trade Mark Directive is. The substantive provisions of the Trade Mark Regulation have their counterpart in the Trade Mark Directive, and any interpretation by the EU courts of the substantive provisions of the Trade Mark Regulation also apply to the interpretation of the Trade Mark Directive. The EUIPO Guidelines as a source of law is fairly new though. This was first established in a 2016 ruling from the Norwegian Supreme Court which explicitly states that homogeneity considerations under Article 3 of the EEA imply that the EUIPO´s Guidelines are a relevant source of law when interpreting trade mark law in Norway. So, a country doesn´t have to be a member of the EU in order to follow EU trade mark law or apply the Guidelines of the EUIPO. I guess one could say “hear hear!” in these BREXIT times. The decision from the Oslo District Court is one of the first where a Norwegian court actually applies the EUIPO Guidelines as part of its assessment of distinctiveness. As to the actual assessment, the important question before the court was if the mark accurately reproduces a reticle. The court finds that this is not the case. 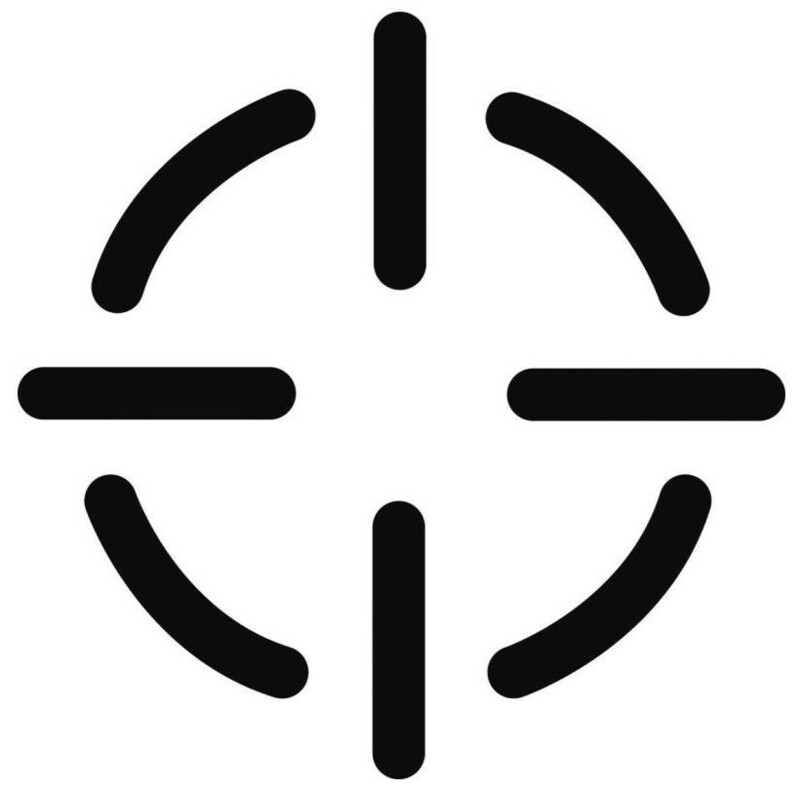 As opposed to a real-life reticle, the circle in the mark is broken, and the crosshair lines are not fully placed within the circle. These circumstances will be noticed by the proficient average consumer of ammunition, consisting typically of shooters, hunters or members of rifle clubs, all of whom need a permit under the Weapons Act to use such weapons. Compared to the examples in the Guidelines of descriptive figurative marks, (T-385/08) and (T-386/08), the court notes that the mark does not depict the disputed goods ammunition or projectiles.The mark had also been refused on the ground of being merely decorative, and therefore non-distinctive. 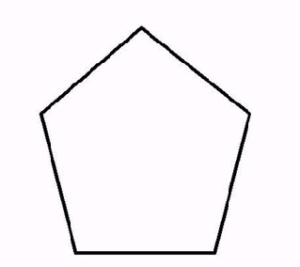 Here the court notes that the mark is far more complex than two of the examples in the EUIPO Guidelines of simple geometric figures from EU case law, namely (T-304/05) and (T-139/08). 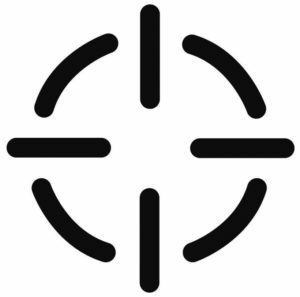 Since the mark does not accurately reproduce a reticle, and furthermore is abstracted and complex, it will be perceived as an indication of commercial origin. 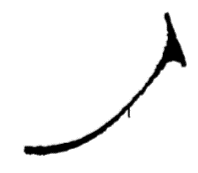 As a result, the mark is not merely decorative. An interesting point is that the court states that the registration of the same mark in the EU in 2009 finds support in the EUIPO’s Guidelines. However, the current Guidelines, didn’t exist in 2009. Also, it is this observer’s impression that EUIPO practice on figurative marks has become stricter with the new Guidelines, and therefore that a distinctiveness assessment in 2009 and 2017 may not necessarily result in the same outcome. This is another court ruling in Norway where the court seems to aim for a lower bar for distinctiveness when compared to that of the trade mark authorities. Perhaps, because the number of decisions is a bit scant for any conclusive findings. Still, we might see a tendency that trade marks which have been refused by the trade mark authorities may pass the distinctiveness test in the district court and appeal court. The decision has been appealed to the Appeal Court by the State. We´ll know soon enough if the district court has hit the mark or, if they have shot with blanks.